This Norwegian ambient duo isn't particularly well-known, but their music is held in high regard by collectors of the genre. 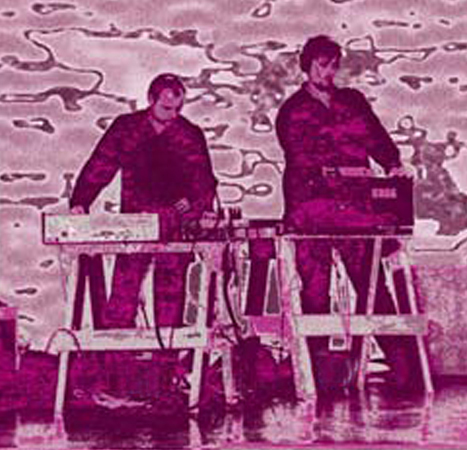 Although their proper debut album didn't appear until 1995, they're veterans on the Norwegian scene, to the extent that they in fact introduced Geir Jenssen (Biosphere) to electronic music in the early 80's. 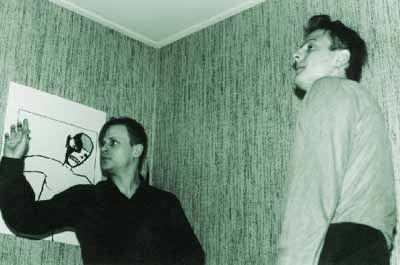 Jenssen would return the favor in 1994, when he brought a Sketch demo to the attention of R&S, who promptly released it on their Apollo imprint (the now sought-after "Reasons to Sway"). "Sketch" refers to a way of working; their approach is firmly based on a methodology of improvisation, but however abstract and/or complex, the results are never lacking in structure. Obviously inspired by Eno and Hassell as well as more contemporary ambient protagonists such as Orb and FSOL, Sketch's music is still very unique, their dubby, organic, richly textured music often evoking images of the breathtaking landscapes of Northern Norway (where both of them are originally from). Environmental music, indeed. Finally, the Sketch albums will be re-launched. At first as digital albums, but if there is enough demand for it, a limited run of CD's will be printed. Check their own pages here.